When I find something I like, I tend to stick to it, but I try almost anything that will promise me fuller, healthier, stronger, shinier hair. So far this year, I've been impressed by more hair products than anything else. Here are the standouts. Make sure to put them on your radar! This one product replaced two in my medicine cabinet. I love using it before I blow dry my hair as a smoothing agent and find that it works really well on my extensions, too. They need added moisture. I also occasionally use it after I blow dry to smooth my ends. I love how healthy it makes my hair look. I absolutely love Paul Mitchell products and there are a few that I've been using, but this hairspray offers the perfect amount of light-weight hold and adds some texture, which is exactly what my super fine, straight hair craves. Available in four different strengths, the micro-mist formula is what's really innovative. It sprays out so finely that you can really work with it by building it or just using a bit to tame fly-aways. I have actually used strengths one, two and three for all different reasons. For the most part though, I stick with number two, which offers lightweight hold and allows for smoothing flyaways. 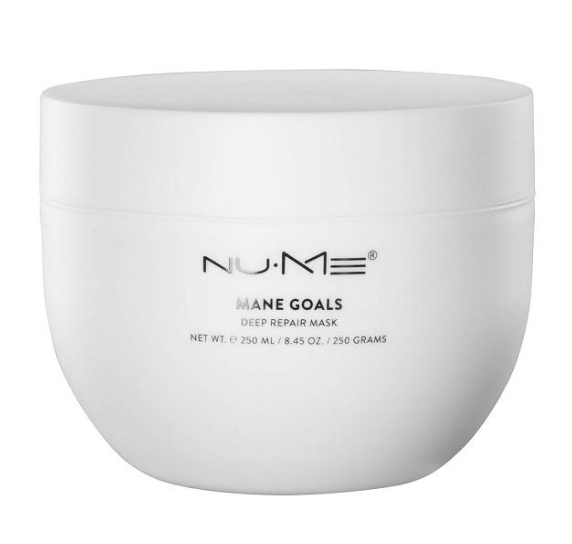 I featured this mask on NBC New York Live not too long ago in my Self Care Sunday segment (see here), but have to included it in this post, because it's that good. I have super fine hair and this adds moisture without weighing it down. I leave it on for 10 minutes in the shower, rinse and blow dry as normal. As a mono-toned brunette, I typically just gloss my hair to make it look a bit richer and shinier. I don't need to actually dye it yet, since I don't have greys (yay!). One thing I face though is that when I wash it too often (thanks SoulCycle) or as time goes on, it begins to fade and get brassy. There's nothing more unattractive than brassy hair color. This in-shower treatment color corrects and leaves me with freshly glossed hair. I use it about once per week to maintain.